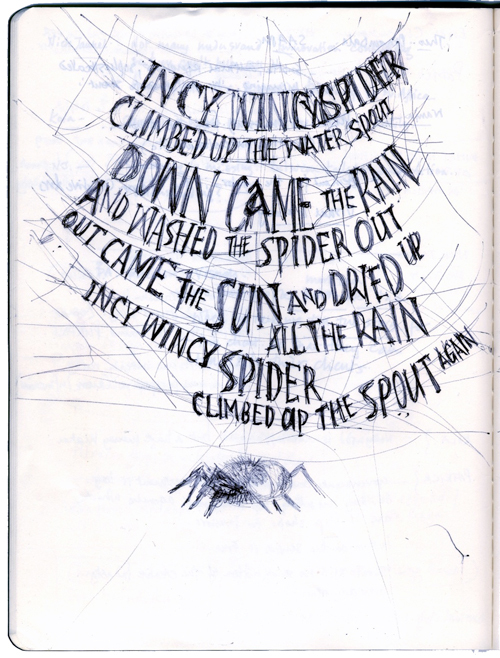 An early sketch for ‘Incy Wincy Spider’ threw up several questions about the final image. Should it be 3-d somehow? Is it too scary for young children? I’m now experimenting a little more with the treatment of the artwork and it’s so much fun! Not scary at all. VERY cool!